Instead, that day — Sept. 4, 2015 — marked Abri's last day of second grade. She was diagnosed with Ewing sarcoma, a rare type of cancer, and would spend the next 11 months fighting it. 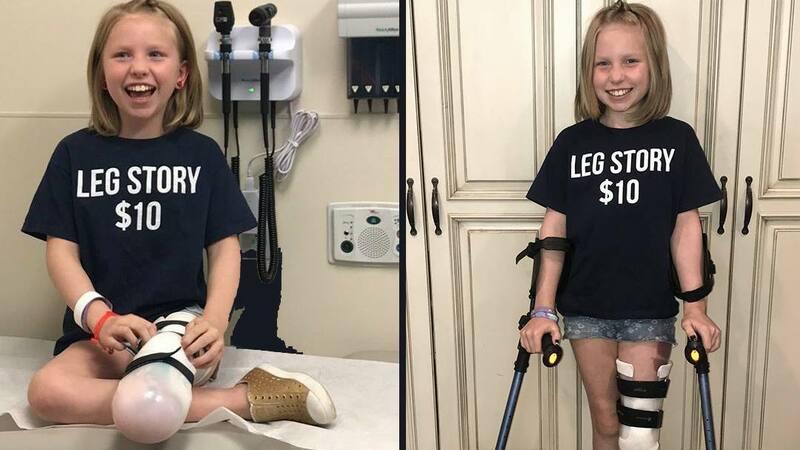 Abri had 17 rounds of chemotherapy and limb salvage surgery, which required doctors to remove her cancerous left tibia and replace it with a cadaver arm bone. That left Abri with a new limb she called "Arg" — a combination arm and leg. ("She's all about the humor," Nikkole says.) Read the rest of Abri's story.